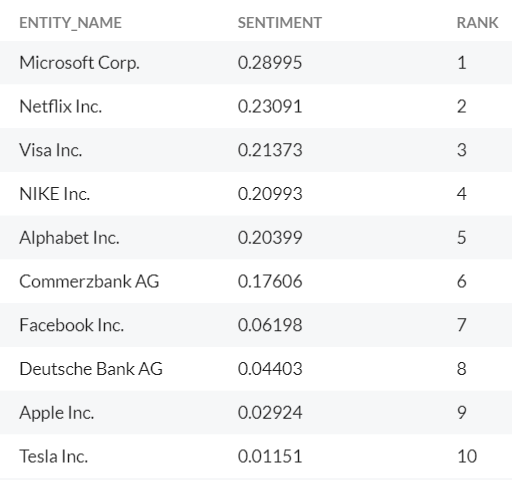 RavenPack announced today the launch of a new portfolio ranking tool based on sentiment factors. The new tool provides on-demand ranking of more than 50,000 companies to help financial professionals build stronger portfolios. Financial users can upload a stock portfolio and tailor their analysis to address specific risks detected across 19,000 sources including news, social media, regulatory filings, and transcripts. Hundreds of thematic factors can be taken into account for their stock rankings to monitor for headline risk, identify sentiment leaders and laggards, or flag companies that are no longer aligned with their strategy. Investors can also apply a selection of screening criteria and better manage reputational risks by identifying controversial companies in their portfolio. For example, users can filter out companies experiencing negative environmental, social, or governance (ESG) events, or rank higher those with positive earnings and product sentiment. We have introduced new functions for Rank, Dense Rank, Ntile and Row Number. Add these functions to your dataset to order daily data by your desired dimension. 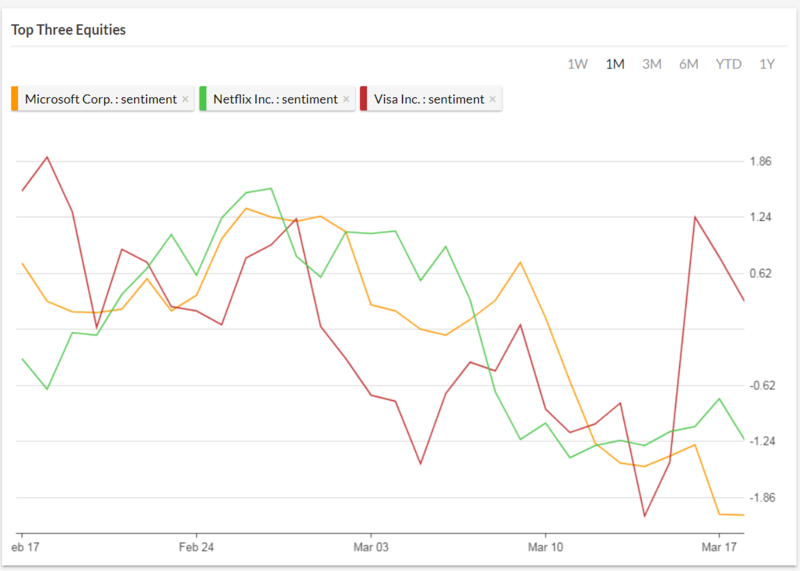 RavenPack’s powerful screening tool allows users to instantly create lists of positive or negative sentiment stocks for short or long term investment horizons. Fully customizable factors enable users to construct and rank portfolios that best fit their investment style and criteria. The new RavenPack ranking tool will be first showcased at the AI & Data Science in Trading Conference, taking place March 19-20, 2019 in New York City. Click here to learn more about this conference.